MainAll NewsDefense/Security"I have one message to Iran: Do not threaten Israel"
PM responds to Iranian missile strikes in Syria. 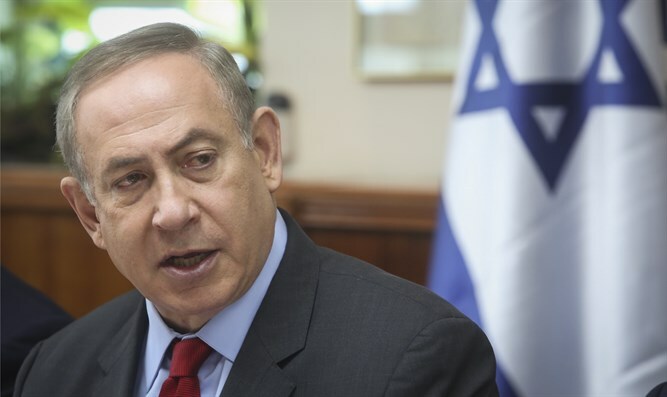 Netanyahu was a vocal opponent of the 2015 deal between Tehran and major powers that saw sanctions against Iran eased in return for curbs on its nuclear program. Iran's homemade missiles, including some that are capable of hitting Israel or American military bases in the region, are a major point of tension with Washington and Israel. "Israel is prepared for every development," he told members of his right wing Yisrael Beitenu party on Monday. "We are prepared, we have no concerns or worries."